I have loved animals for as long as I can remember. When I was a child, I used to spend a lot of time lying on the ground searching for any small animal that would cross my way. I especially had a predilection towards frogs, toads, and lizards. I still remember during a summer vacation in a rural town, a combination of prime weather conditions allowed for an explosive breeding event of the Argentinean Common Toad (Rhinella arenarum). The ground was covered by hundreds of toads, smaller than a fingertip, and moving everywhere. From that day forward, I was fascinated by these animals. Some years later, from a pond that was drying up, I rescued a group of tadpoles that risked desiccation. I followed the entire metamorphosis process until releasing the juveniles at home in my garden. Later, during my adolescence, I started to become aware of the problem of species’ extinctions. The need to help grew inside of me. Motivated by all of these experiences, at the age of eighteen I decided to study biology at La Plata University in Argentina. I hope that our work will serve as inspiration for the development of new conservation projects of other endangered amphibians and also as a place where volunteers can be trained to become local conservation leaders. During the course of my career, I participated in several projects with endangered vertebrates in Argentina and neighboring countries. It was during this time that I realized two things: one, there were too few projects focused on problems with endangered herps, and second, there was some research, but few implementing conservation activities. 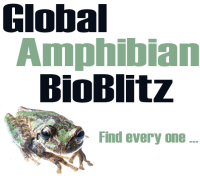 Although this trend changed during the course of the last decade, even today, the problems facing several native amphibians in our country are not being fully addressed. It was then that I decided to focus my efforts on the conservation of highly threatened herp species in my country. 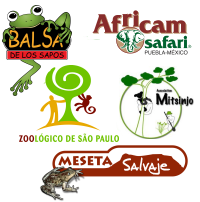 In 2012, with this goal in my mind and together with some colleagues and friends, we decided to initiate a project aimed at conserving the Valcheta Frog (Pleurodema somuncurense). They are one of three amphibians in Argentina listed as Critically Endangered in the IUCN Red List. This frog is a microendemic species that only occurs at the headwaters of the Valcheta Stream – a waterway that begins at thermal springs located within the Somuncura Plateau in Argentinian Patagonia. Sadly, over the last decades, wild populations of this species have declined and some have become locally extinct. The unique habitat where they live (the headwaters of the Valcheta Stream) is rapidly degrading due to water use issues such as poor livestock management by local farmers, and also introduction of exotic trout in sites where frogs should be thriving. Chytrid fungus is also infecting wild populations of this species, and despite the absence of records of dead individuals, we do not discard a potential negative effect of this emerging disease. In order to face challenges to this species, we created the Wild Plateau Initiative and started work in in situ conservation management. However, in light of the complexity of the situation faced by the Valcheta Frog, we realized in order to achieve better results in recovering wild populations, we would also need to develop a reintroduction program. 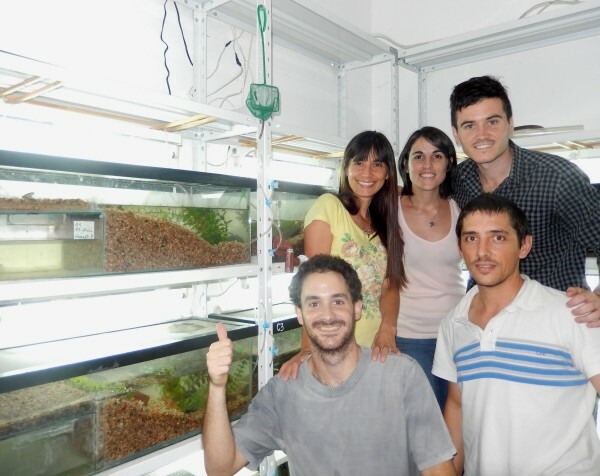 Therefore, we contacted the Amphibian Ark team and they gave us support to create the first Argentinian ex situ facilities for threatened amphibians. It was built at La Plata Museum in the Cururu Program. In 2015, this rescue center received a survival colony of Valcheta Frogs. After an acclimation process, several pairs successfully bred. This allowed us to carry out not only the first reintroduction experience for this species, but also for amphibians in general in our country. During this project, we released 200 individuals at a site where the species had gone extinct due to habitat degradation. Reintroduction of individuals was possible after the restoration of the habitat to original conditions, incorporating a good combination of in situ and ex situ management. We are happy with these results, yet a lot of work is still ahead of us. We will continue working with the Valcheta Frog until we can ensure its long lasting survival in the wild. In this regard, we aim to double the number of local populations of this species, and to enhance the connectivity of its habitat. I hope that our work will serve as inspiration for the development of new conservation projects of other endangered amphibians and also as a place where volunteers can be trained to become local conservation leaders.